By the time students enter Middle School, they’re ready to take on advanced math problems like algebra, geometry, and data. Educators who want to teach these courses take the Praxis II Middle School: Mathematics (5169) exam. How much do candidates have to pay to take the test? There is a $120 exam fee. 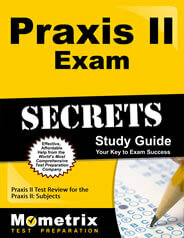 How many questions are on the Praxis II Middle School: Mathematics (5169) Exam? There are 55 total questions on the test, a mix of selected-response and numeric-entry questions. What is the test time for this exam? There is a two-hour time limit to finish the exam. Since this is a math exam, can I bring and use my own calculator during the test? No. Since this is a computer-based test, candidates have access to an on-screen calculator. What’s on the Praxis II Middle School: Mathematics (5169) Exam? The exam is split into two categories. Simple diagrams, flowcharts, or algorithms to solve problems. Is it easy for me to find a place to take the test? It should be. A private testing company delivers Praxis tests to candidates, and the company has hundreds of locations across the country. You can find the location nearest to you on the exam website. I’ve completed the test. When can I see my results? That depends on several factors. Check the exam website to see when your state releases scores. 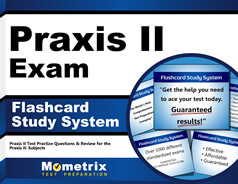 How many of those 55 questions do I have to correctly answer to pass the Praxis II Middle School: Mathematics (5169) Exam? Check with your local licensing authority since each state sets its own passing score. I know I’ll need to show identification on test day. What’s should I bring? You’ll need to show two forms of identification. First, bring a piece of ID that has your photo and signature and has been issued by a government body. A passport or a driver’s license are acceptable. You’ll also need another piece of identification, like a student ID, and your admission ticket. Should I show up at the test center at the designated test time on my admission ticket? You should show up at the test center at least 30 minutes ahead of your test time. You don’t want to be late. What about personal items. Can I bring them into the test room? No. Testing center rules ban a lengthy list of items, including all electronic devices. Check the test center rules for the complete list. You mentioned study materials. What are the best ones I can buy? The study materials from Mometrix are the best ones you can get, for several reasons. Our study guide is written by professionals in the test-taking field who are experienced at navigating the parts of the exam that give candidates the most trouble. For example, we’ll show you how to analyze questions for clues that can give hints to the right and wrong answers. If you have trouble finding time to study, our flashcards are the perfect study tool. Easy to read and portable, the cards give you a study option any time, day or night. These are excellent tools to help you prepare for the Praxis II Middle School: Mathematics (5169) Exam.